The music that provided the soundtrack to the London 2012 Olympic Games Closing Ceremony is available now, just moments after the Ceremony ended tonight, Sunday 12 August 2012. The release follows the massive global success of ‘Isles of Wonder – Music For The Opening Ceremony of the London 2012 Olympic Games’ which, within seconds of release after the ceremony, had registered in the top 10 download chart in 42 countries. 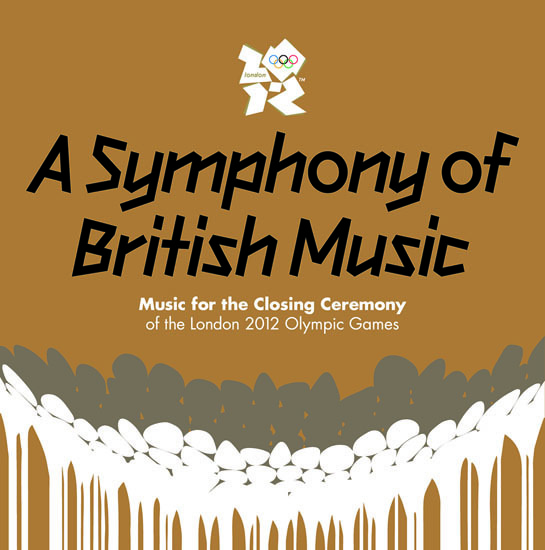 ‘A Symphony of British Music - Music For The Closing Ceremony of the London 2012 Olympic Games’ is released by Universal Music labels Decca / UMC (Universal is music licensee for the London 2012 Olympic Games) with the support of The London Organising Committee of the Olympic Games and Paralympic Games (LOCOG). The album will celebrate the global appeal of British music with spectacular performances from some of the most iconic British performers and contemporary artists. From classic tracks by Queen, Kate Bush, Madness, The Who, Ray Davies, David Bowie to Jessie, J, Tinie Tempah, Kaiser Chiefs, Muse, Elbow and the much speculated Spice Girls reunion, the London 2012 Olympic Games Closing Ceremony showed the brilliant diversity of British music from the past to the present. Artistic Director Kim Gavin has lead the spectacular show with a team of talented creatives including music director David Arnold and Designer Es Devlin. Music Director for the Closing Ceremony, David Arnold has written and produced three new pieces of music for the Ceremony that will accompany the key traditional moments of the event: ‘Parade of Athletes’, ‘Medal Ceremony’ and ‘Spirit of the Flame’. Dickon Stainer, President of Decca Records said: "This album features the music which closes the event of a lifetime - like the Opening Ceremony music, it is unique."